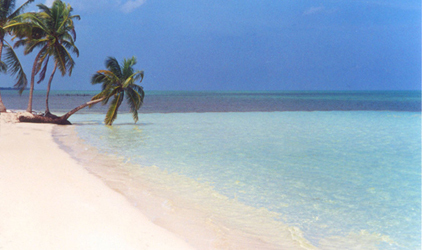 List Your Belize Property With Us! If you're considering selling your property, you owe it to yourself to contact us first! Caribbean Property Consultants is your trusted source for all real estate transactions in Belize. Working closely with reliable and experienced real estate professionals is our commitment to you. This also includes the land titles office, local surveyors and Belize attorneys who specialize in Belize real estate transactions. We take great pride in the fact that we presently have over 2,200 unique visitors to our website daily, with over 35% of them adding us to their favorites list to re-visit our site in the future. A search for the phrase Belize property, or Belize real estate on Google usually has us in the top 5 spots, out of 8-10 million returns. We are the largest independent real estate company in Belize, with five offices throughout Belize to serve you. 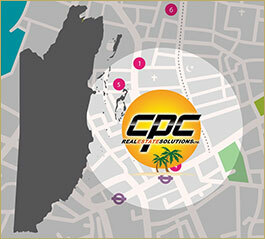 CPC sells more properties in Belize than most other companies, and have developed a solid reputation with our customers; both buyers and sellers. We advertise in a variety of trade specific publications, incuding Destination Belize, Beltraide’s Invest Belize Magazine, Tropic Air’s in-flight magazine, The Breeze Newspaper, The Howler, Toledo’s BTIA newspaper, BTIA’s Central America’s publication, and several other smaller publications. We have strategically placed billboards throughout the country, and wall displays and brochure racks in all Maya Air terminals. We also place brochure racks in a variety of facilities and accommodations catering to our tourism visitors and work closely with their front-line staff to deliver our services to their guests. We have been interviewed three times by International Living Magazine, the New York Times, recently in Island’s Magazine, and have a feature article in the 2016 edition of Belize’s Destination Magazine. Our sales force has extensive experience working with buyers and sellers from all over the world, and collectively they have lived in Belize for over 50 years. We welcome the opportunity to present references on request and look forward to the possibility of assisting you find buyer(s) for your property. Please Contact us today to discuss your property.